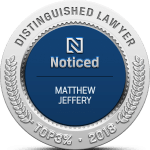 Matthew Jeffery is a licensed immigration lawyer Brampton specializing in a wide range of immigration matters including permanent residence applications such as spousal sponsorships and Express Entry applications, citizenship applications and much more. Mr. Jeffery brings more than 20 years of experience in immigration cases with expertise in immigration appeals and other litigation matters. He possesses a law degree from the Osgoode Hall Law School in Toronto and is licensed by the Law Soc1iety of Upper Canada to help clients navigate the complex immigration system. You can sponsor a family member such as a spouse, partner, child, parent, grandparent or adopted children to live in Canada. To do this, you must meet the qualifications to become a sponsor. One major requirement is to demonstrate that you have sufficient income to take care of the sponsored person for a number of years when they arrive in Canada. An immigration lawyer Brampton can assist by providing sound legal advice and adequate information to help you demonstrate that you are financially capable of taking care of your loved one when they come to Canada. Your permanent resident card is usually valid for 5 years from the date of issue. When this period elapses, you need to renew the PR card in order to maintain your permanent residence status. PR card renewals can be a straightforward process if you meet the residency requirement. However, if you haven’t been in Canada for at least 2 years within the past five years, having your card renewed can be a challenge. An immigration lawyer can review your case and help you to understand your options to increase your likelihood of meeting the residency requirements. If you are looking to relocate to Canada for work, you can use the Express Entry system to gain entry and fast track the permanent residence application process. Through Express Entry, Canadian employers can pick candidates from a pool and offer them a job. A candidate with a job offer gets a higher rank in the pool and is therefore more likely to receive an invitation to apply. Mr. Jeffery together with his team can advice you on how to enroll in the Express Entry program by explaining to you all the minimum requirements and facilitating the application process. A temporary resident visa allows you to stay in Canada for a limited period of time. The permit or visa can be especially useful if you need to visit a friend, work or study in Canada for a short period. Those who are inadmissible to Canada can also apply for a temporary resident permit and get a chance to remain in the country as their case is handled. An immigration lawyer can discuss all your options and help you decide which type of temporary resident visa is an ideal solution for your situation. Are you ready to apply for Canadian citizenship? 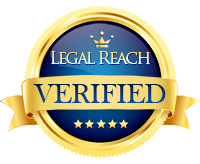 Get the help of an immigration lawyer to give you all the information you need and increase the chances of your application being accepted. Permanent residents of Canada can apply for citizenship if they meet the residency requirement (be physically present in Canada for at least 3 years in the 5-year period before applying), pass the knowledge of Canada test and English or French language proficiency tests. They must also have filed their tax returns for at least 3 years within the relevant period. When u receive a decision from the immigration authorities and you believe that it was unfair or unreasonable, you have a right to appeal. Immigration appeals must be done within a certain period from the date the decision was made. Therefore, as soon as you receive the removal order or deportation, contact an immigration lawyer immediately to help you understand your options and offer the best legal representation. You may be refused entry into Canada due to medical issues, criminality or misrepresentation. There are numerous reasons that can lead to inadmissibility. We know that every case is unique which is why our immigration lawyer will take time to consult with the client and help them know which options are available in each situation. 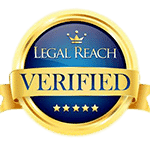 We handle all cases with a high level of confidentiality and professionalism. You may be able to overcome inadmissibility by taking steps to address the medical issues or criminal conviction that caused you to be denied entry into Canada. Matthew Jeffery is pleased to offer his expert Canadian immigration legal services to immigrants and Permanent Residents living in the Brampton region of Southern Ontario. As the third-largest city in the Greater Toronto Area, Brampton is home to over 523 000 residents, both locally and internationally born. As one of the youngest communities in the area, Brampton has a vibrant, up-and-coming culture that is proud of its diversity and multiculturalism. A popular location for many businesses, factories, warehouses, and corporate head offices, the city is a popular destination for those seeking new employment in an ever-expanding, increasingly gentrified community. 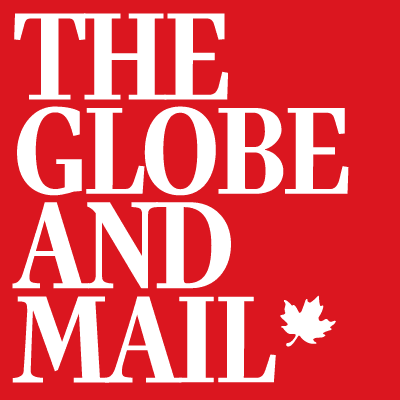 Some of the largest employers in the region include Loblaws, Chrysler Canada, Maple Lodge Farms, and Rogers Communications Inc. The most dominant economic sectors of the area are retail administration/logistics, food and beverage, advanced manufacturing, life science, information and communication technologies, and business services. Sheridan College also makes its home in the city of Brampton, offering immigrants and citizens alike a great opportunity to improve their skills and gain worthwhile post-secondary education. With great schools, all the amenities you could hope for, and easy access to the diverse offerings of the city of Toronto, Brampton is well poised to continue its upward momentum. 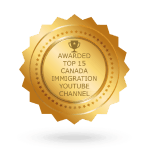 Whether you are looking for information on Business Immigration, Student work visas, or study visas, or any other type of immigration matter, you will find all the assistance and support you need at the Law Office of Matthew Jeffery, Canadian Immigration Lawyer. For more information about any one of our services, please contact us today in office or by phone at 866-886-8014.